Singer 500 W Mixer Grinder Model will look good in your kitchen. 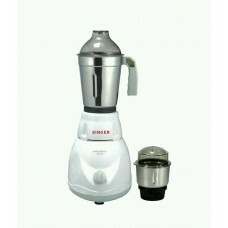 Riyo mixer grinder comes with special vacuum anti slip feet to keep the mixer grinder in its place while using it. Singer assures its quality with providing 2 year product warranty & 5 years warranty on Riyo Moter.